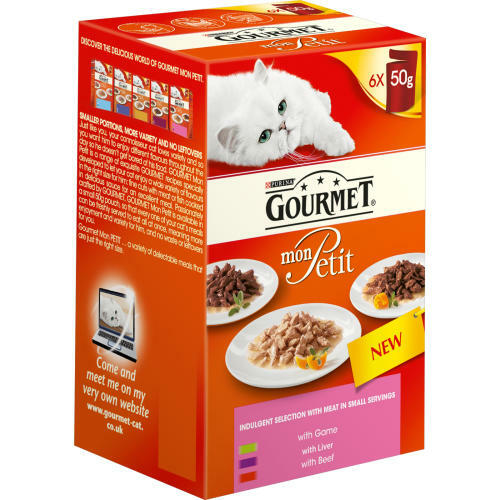 The fine cuts of meat makes the Gourmet Mon Indulgent Meat Selection Adult Cat Food is a collection of exquisite meals each nutritionally balanced to keep your cat healthy, active and happy. 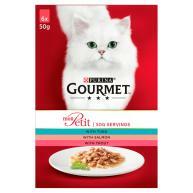 Each meal is just the right size and lets your cat indulge their sophisticated plate as they explore a variety of tastes whilst providing them with vitamins and minerals. 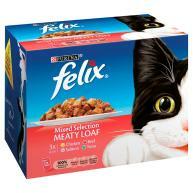 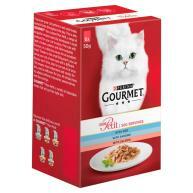 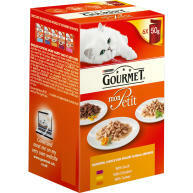 The Gourmet Mon Petit Meat Selection Pouches makes every meal a tantalising taste adventure.